A couple of weeks ago we gave you a Sneak Peek at some upcoming Empire Avenue design changes. Well, in the next 24-48 hours (and certainly by 5pm Friday the 25th Nov 2011 MDT) we'll be rolling out those changes to everyone! And you won't need a GPS to navigate, either (heh). Here at Empire Avenue HQ, we recognize that changes to navigation and overall site design can be difficult for everyone. Yet, these changes are necessary as we continue to improve Empire Avenue to easily scale as we grow. You'll see we've moved toward new and recognizable iconography, making it easier to allow for translation and internationalization. As well, many of the changes we've implemented are based on member feedback. Overall, these ideals of building for growth, internationalization, and incorporating member feedback are ultimately allowing us to expand Empire Avenue in new and innovative ways, which you'll see very very soon! We save a little bit of real estate by slimming down the top navigation bar and using icons (with tool tips) to replace the larger text tabs. We also modified the look of the ticker; it's now at the top of your Home page and it's a very spiffy-looking charcoal colour. Below the main navigation bar is a second navigation bar (light grey). This simple bar contains commonly used pages and also allows us a design flexibility that will make future design enhancements much easier. Home - takes you back to your personal Home page.  Avatar - clicking on your photo here will open a dropdown menu which allows you to go to the most commonly used pages: Portfolio, Advisors, Inbox, Send Shareholder Mail, Order History and Edit Profile. Your Ticker Symbol - this is a shortcut that takes you to your Profile page -- not to be confused with your personal Home page. Your Bank - shows your current bank balance in Eaves, and when clicked, takes you to your Bank main page, allowing you access to your statements and activity records. The Graph - Shows your current Share Price. When clicked, takes you to your Advisors page. Your Wealth - The diamond symbolizes your Wealth. The value to the right of the diamond is your current Net Wealth (Portfolio Value + Luxury Wealth + Bank Balance). Clicking on this also takes you to your Bank main page. Search - Searches everything on Empire Avenue -- an interest, a city, a name... anything! You can also use Search to find relevant people and businesses on Empire Avenue. As well, at the bottom of this window is a 'View All Notifications >>" link, which will take you to your main Notifications page. The Gears - This is where you access your Empire Avenue settings and preferences. Clicking this icon reveals a dropdown menu listing commonly-used member functions and preferences: Privacy Settings, Edit Profile, Change Password, Account Settings, Help and Logout. Whew, a lot going on there. The team has been quite focused on this enhancement and is eager to hear your thoughts and feedback! Leave them in the comments below, or send us a feedback note through our helpdesk.